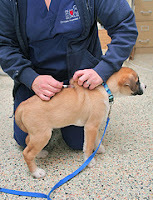 Ottawa Humane Society: Help us keep OHS animals healthy! The OHS' in-house clinic relies solely on donations, so we’re extremely careful about the supplies we order and use. We simply can’t afford to have anything go to waste! That means we’re also very careful about how we store the supplies we do have. Many veterinary vaccines need to be refrigerated at a constant temperature. Most regular refrigerators fluctuate in temperature, and these fluctuations can cause entire batches of vaccines to spoil. 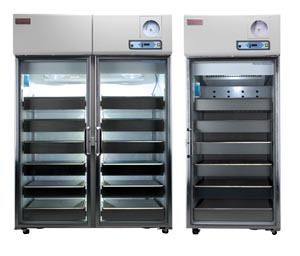 Medical-grade refrigerators safely store batches of vaccines and medicine in a regulated, constant environment, allowing us to help more animals and keep them healthy. You can help keep the animals healthy by sponsoring the much-needed medical refrigerator to store medications.